Tresdin, Legion Commander Guide & Strategy. 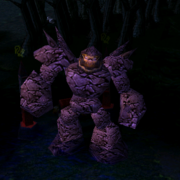 Legion Commander is a sentinel strength hero added in DotA 6.73 map. Check out Legion Commander introduction and spells overview. Turns the enemies numbers against them, dealing damage and granting you 9% bonus movement speed per hero and 3% per unit in the 315 AoE for 7 seconds. Deals bonus damage to illusions and summoned units. Removes all debuffs and disables from the targeted ally and grants them bonus attack speed and health regen for 4 seconds. When Tresdin is attacked, he has a chance to gain a moment of courage, instantly attaking again with bonus lifesteal. Notes: Cannot proc more than once every 0.75 seconds. The lifesteal is not an orb effect. Calls the targeted enemy for a duel. Both you and the enemy will be forced to attack each other and will both be unable to use items or abilities. The victor gains 10 permanent bonus damage. Duel winner bonus damage: 10 damage. Notes: The loser of the duel is the hero that dies while under the buff. There is no victor if both heroes are alive at the end of the duration. Good Hero With Beautiful Skills And Appearance!!! nc hero, S&Y is nice item for that i think..? The skills are too childish especially the last one 'Duel'. i like this hero duel.. huhu.. n his 3rd skill can jungle alone..
i try use vg, deso n assult.. n start killing intel hero.. give permanent damage..
That new item you make out of sange will work just perfectly for him. You mute the guy's attack and duel him. the lifesteal is quite imba --"
Early- Game: ring of reg. + soul ring rec. Late - Game: Basher / Burizza / BKB / Mordigian / Dezolator / and many others... depend of enemys. Game play: Dagger near enemy / Activate Blade Mail / Use Duel (ulty) = GG on most agil/Intel heroes. Nice Hero.. and I gwess they might low his HP Drain..
keep use ulti on creep or nc will it keep increase 10 damage(after each time of ulti) forever? this hero is like 10-0 after 20 minutes like in every game. no counter 4 duell never saw him loosing one. Can't wait for Dota v6.73 AI!!!!!!! that new disarm item works well on him too. can i use battle fury here? Legion Commander ONLY becomes imba when he wins a lot of duels, but he becomes very weak when he loses more duels than he won( Imagine you only have 30 damage left as a result of losing. A LOT). In a solo match vs slardar, I used power treads, medallion of courage, and blademail. At lvl 6-7 slardar used his ultimate... guess what? I used his ultimate against him because of blademail. Imagine this, slardar did 100+ damge on you every hit with his ulti But you have blademail so the damage is returned when you duel. Ok, This hero is definitely the counter of almost any spellcaster And carry heroes such as Rylai, Gondar, even Slardar... when you have blademail, of course. Abbadon has a chance to live in ss of tresdin.. :?